We are proud to stand by our work. We offer THE strongest warranty in the Portland Market. We do good work. And we believe if you do good, solid work you should be able to stand behind your product – and we do. Our warranty policy is as described below for all written and signed contracts. Compare our warranty with other contractors. 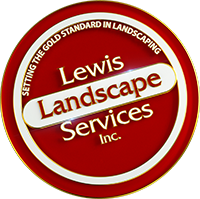 You’ll see why we say we’re Setting The Gold Standard In Landscaping. New Sprinkler Systems: 10 Year Parts and Labor Warranty. Hardscapes (Patios, Pavers, Flagstoone, Concrete, etc. ): 5 Year Warranty. Wood Work (Fences, Decks, Covered Structures, Garden Boxes, Pergolas, Any kind of railing, etc. ): 5 Year Warranty. Plants and Trees: First Growing Season and/or 6 months. Retaining Walls: 5 Year Warranty. Water Features: 5 Year Warranty. Drainage: 1 Year Limited Warranty. Turfgrass Installation (Sod Lawns): 30 Day Warranty. NOTE: WARRANTY PERIODS AND TERMS CAN CHANGE OVER TIME. THE ABOVE ARE SIMPLY OUR CURRENT WARRANTY OFFERS. 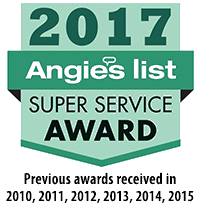 HOWEVER, YOUR CONTRACT WITH LEWIS LANDSCAPE WILL ALWAYS DICTATE THE EXACT TERMS OF YOUR SPECIFIC WARRANTY, NOT THE INFORMATION ON THIS PAGE. SEE YOUR CONTRACT FOR YOUR SPECIFIC WARRANTY.